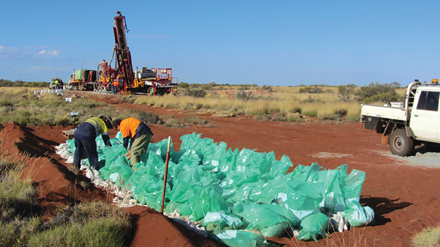 MMG Ltd. has approved an updated development plan for its underground Dugald River zinc project in the North West region of Queensland. The updated plan assumes a mine production rate of 1.5 million metric tons per year (mt/y), construction of a concentrator, and annual production of approximately 160,000 mt of zinc in concentrate, plus byproducts, over an estimated 28-year mine life. MMG had previously endorsed development and construction of the Dugald River in December 2012. However, after gaining access to the orebody via development declines in 2013, the company found geotechnical aspects and ground conditions more challenging than had been assumed. This prompted a review of the proposed mining method followed by a trial stoping program, value engineering and additional project studies. Meanwhile, project development work was placed on hold. The expected remaining cost of the project to first shipment of Dugald River concentrate is around $750 million, plus interest costs. MMG has begun discussions to amend funding arrangements with its existing lenders. Agreements with key energy, logistics and service providers will be revised based on the updated project plan. Following signing of remaining contracts, construction of remaining surface facilities is expected to begin in 2016, with first production from Dugald River scheduled for the first half of 2018.